It was supposed to be just another blog. But God had something else in mind. 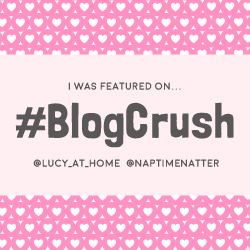 It all started with a blog that I wrote on August 1, 2011. It was the anniversary of Noel’s wedding proposal. It was the day I said yes. I published my blog and Noel tagged people to read my blog. Noel’s friend Joan Habana was one of the tagged friends. 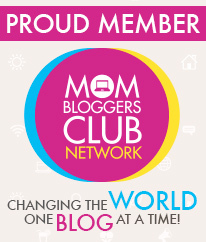 We were surprised one day when she told Noel that she passed the blog to MMK. I just shrugged. I thought it was just another blog. Then we received another call. 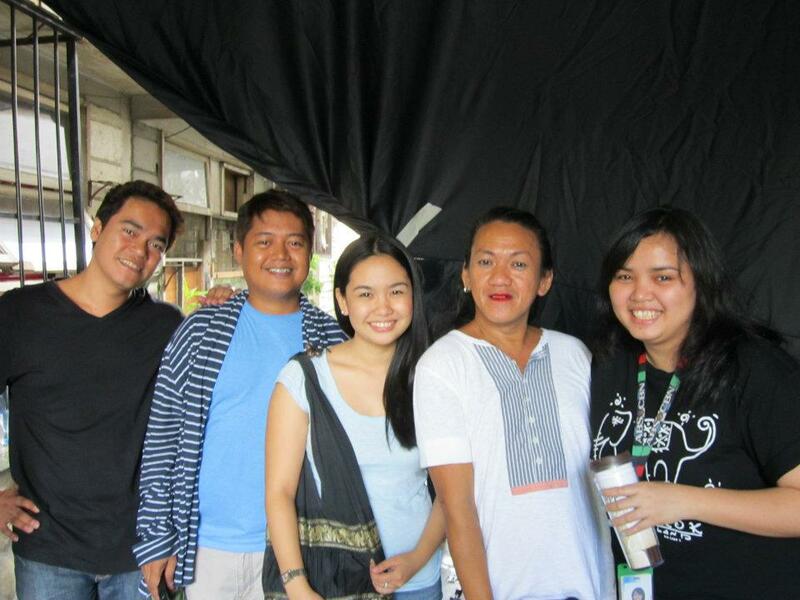 “Tuloy na!” Weeks before the taping for MMK, we were informed about the scene about my parents. We were very worried about their reaction. We prayed that if it’s God’s will that this episode push through, may my parents say yes to the scene in the episode. Noel anxiously called my mom and miraculously, she said yes. Then we prayed that my dad will say yes. And he did. Alex was very happy when we informed her about my parents’ consent. From this moment forward, everything was fast. We signed the contract, reviewed the script and the taping started in no time. We wanted to go to the taping but we’re afraid that we’re not welcome. What happened was the opposite of what we expected. Everyone, and I mean EVERYONE was kind. The crew, the wardrobe people, the actors, the producer, the director. All of them welcomed us. 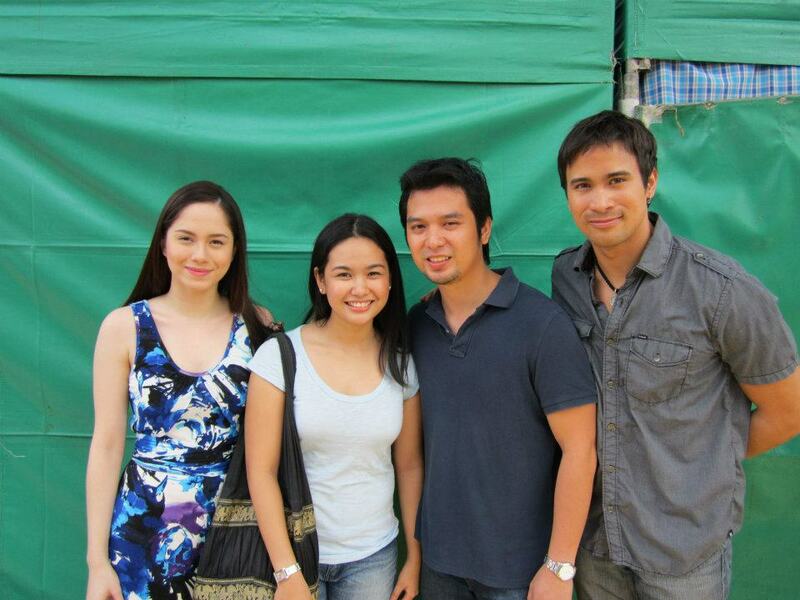 Direk Raz de la Torre also happened to be a friend of our friend Athena Imperial. Small world! 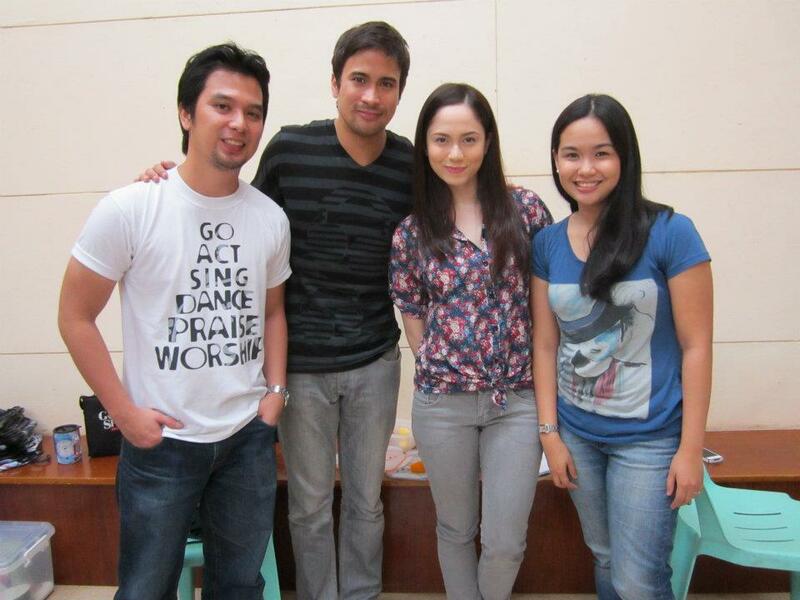 After talking to Sam Milby and Jessy Mendiola and Hiyasmin Neri (my friend since college), we left the location. 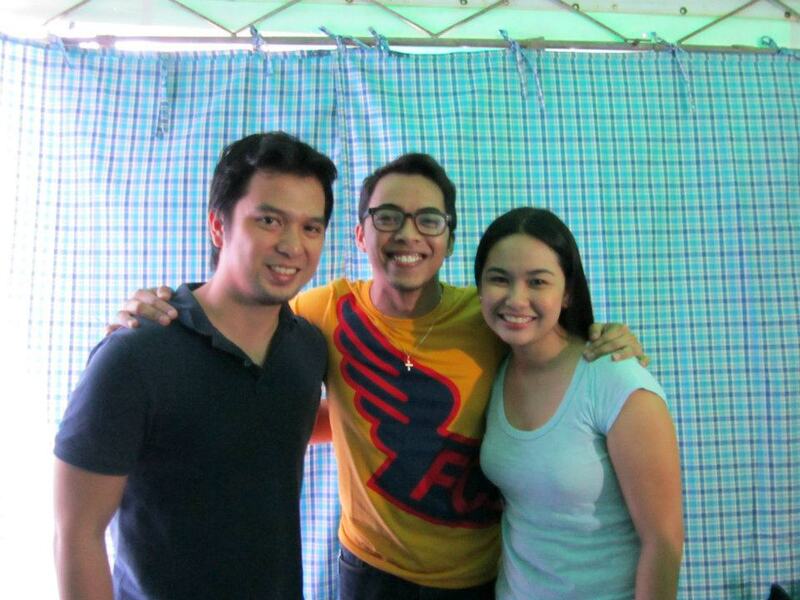 Direk Raz and Jessy tweeted us to visit on the next day’s shoot. 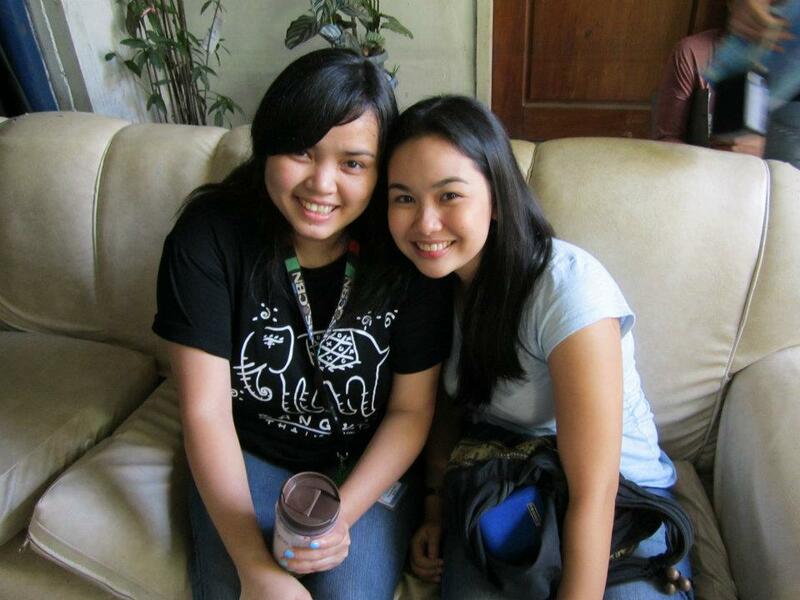 We went home the next day and when we finally had decent sleep, Noel and I talked about the MMK experience. It was at first awkward to have two Nonos and two Joeis in one place and much more to see your life being played in front of you. But on top of it all, it is a privilege. To have your love story written by God is already a gift; to see it played on TV, priceless. What a blessing it is to have your life dramatized on TV. Wow. Who could’ve known that what my young heart wrote will happen? And who could’ve known it will happen through MMK? Thanks for sharing your beautiful love story, Joei! 🙂 (Naks feeling close) The best part of it is that you did not only inspire those who are in a relationship, but you gave hope and meaning to our singleness too! Hi Joei! I can’t thank you enough for you and Nono’s generosity in sharing your story. It is as much your blessing as mine that MMK chose me to direct the episode showcasing your wonderful journey. I know I haven’t done much for MMK yet, but this is already among my favourites. I told you this already, but you were the first “letter-senders” that I got to meet. And lucky that you’re my first. What I initially thought would be awkward turned out to be really great and pleasant. Who would’ve thought I could end up being friends with the ‘subjects’? 🙂 Not hard to think now, considering what beautiful people you and Nono are. You deserve all the blessings and yes, your story deserved to be told to millions. ate i was supposed to sit lng in the t.v area of our dormitory and then MMk played i was not that serious to watch it pampalipas oras lng ba..i tell my self pagnagcommercial n alis n ko and go to sleep..aba tapos nat lahat lahat ang commercial di ko namalayan natapos ko n din plang panoorin ang Full episode my gosh mga kadormates ko to da highest level ang kilig nung pinkita ang slight video clip ng wedding nyo..after that i go to bed still amazed by how God RESERVED you guys for each other and one day after nagulat ako my mutual friend tayo nung una nghesitate ako iadd kayo n kuya as friends kasi baka ignore nyo lng actually ate nagtry lng ako mg message to you and happy that you became my friend i think my sinasabi sken si God and i knew it already..thank you ate!!! thank you ate..ate minsan pagnagmemessage ako sayo, i’m thinking n bka iniisip mo n papansin ako..hehehe..ang kulit ko kasi no..i dont know why. ?everyday gusto ko magmessage to you paguwi ko galing ng work excited ako to open my netbook..kaya lng minsan kinakabahan ako kasi baka wala..hehehe..thank you talaga ate..dati nauubos lng time ko magbrowse ng kung ano anong site but now nauubos ang oras ko magbasa ng blogs nyo ni kuya..hehehe..and i share it with my friends lalo n on how God answer your prayer and make it possible..i will surely follow your blogs and take it as an inspiration..
“MY LOVE STORY WILL BE TOLD TO MILLIONS.